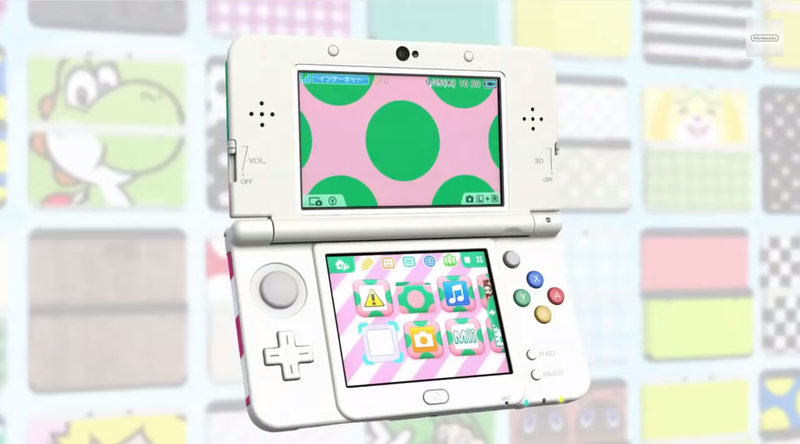 Remember trying to find that perfect 3D sweet-spot on your original Nintendo 3DS handheld? You won't have to do that anymore. The "New" Nintendo 3DS XL (yes, that's really the official name) goes on sale next month. You can find all the juicy details over on Kotaku where you can find a hands-on with the Japanese version. The version that's coming to the U.S. is basically the same, but it's the XL version; it looks like the smaller New 3DS won't be coming over, though Nintendo will be bringing it to Europe and the UK. Nintendo's "New" 3DS XL is everything the original is, but better. That stereoscopic sweet-spot? It now uses infrared head tracking to adjust to your needs. Those long load times (I'm looking at you, Super Smash Bros. 3DS)? All but gone, thanks to a new, speedier processor. There's new buttons (ZL and ZR shoulder toggles), better battery life, and even a second analog stick (actually, it's more like an eraser nub). The new version of the portable console also has NFC, so you can use your amiibo figurines with the new system. Kotaku described it as the portable Nintendo should have released years ago, and it really is. There are a few catches though. Only the XL version of the new handheld is coming to the U.S., so if you're into a slightly smaller portable, you're out of luck. That, and the New 3DS XL will ship without a power adapter. You'll be able to use an old 3DS adapter to charge if you already have one, but if this is your first foray into Nintendo's portable 3D world, you'll need to buy a charger separately. Nintendo's revised handheld, but only the XL version, will hit shelves on February 13th for a suggested retail price of $200.